Graphic designer and illustrator Suthipa Kamyam takes the fine point of a pencil to make a big statement. For the talented artist, the quirks of nature play an even larger role. 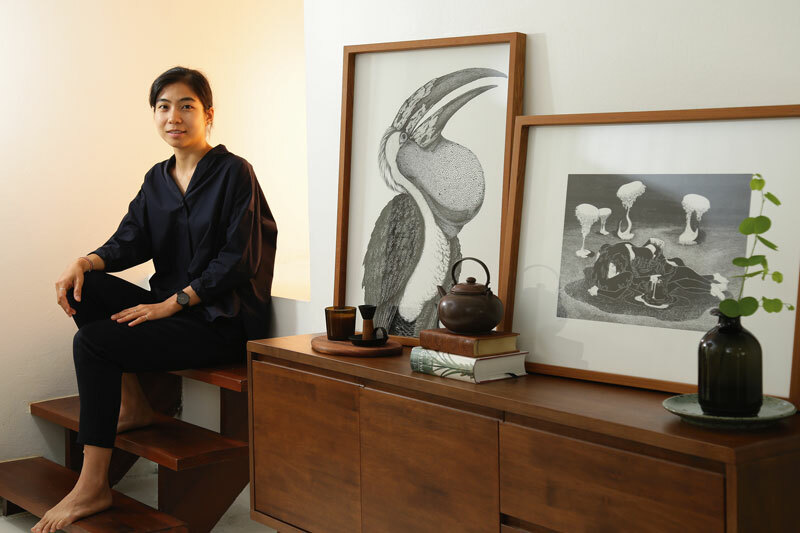 It was the last stage of summer when Fah Thai met with Suthipa “Toey” Kamyam, an illustrator whose works have been used widely in the domestic and international realm. While we may not know Toey’s portfolio, her work appears on many familiar brands. A talk on the creative process took place at her private studio, where time is spent making sure never-ending ideas materialise into art. One sees Toey’s illustrations used in various global products such s Nespresso or L’Occitane en Provence, Crabtree & Evelyn, tea company Taylors of Harrogate and American company Sonoma Cannabis Co. She did work for Jelmoli Department store in Switzerland and lifestyle company Cocolux in Australia, spanning to Villa La Madonna in Italy and Okio Accessories in Sweden. 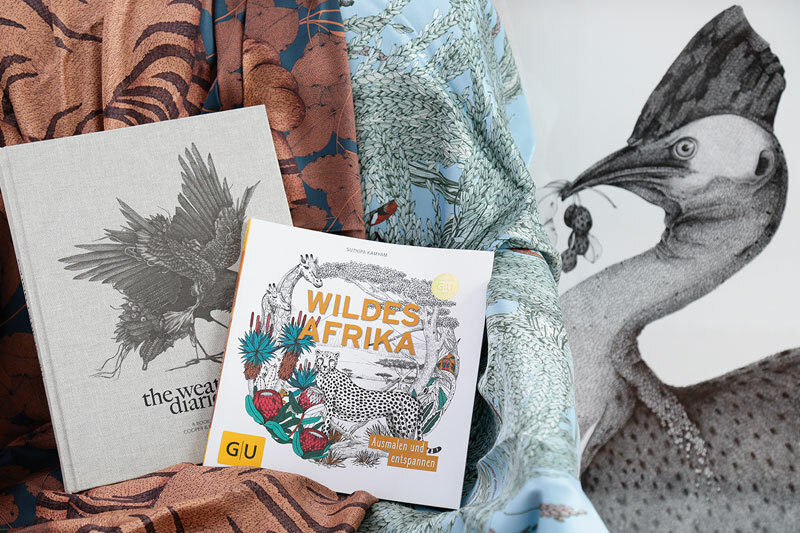 This full range makes her work familiar to us all while her well-known domestic contribution is the design of scarf patterns of renowned textile house Jim Thompson. 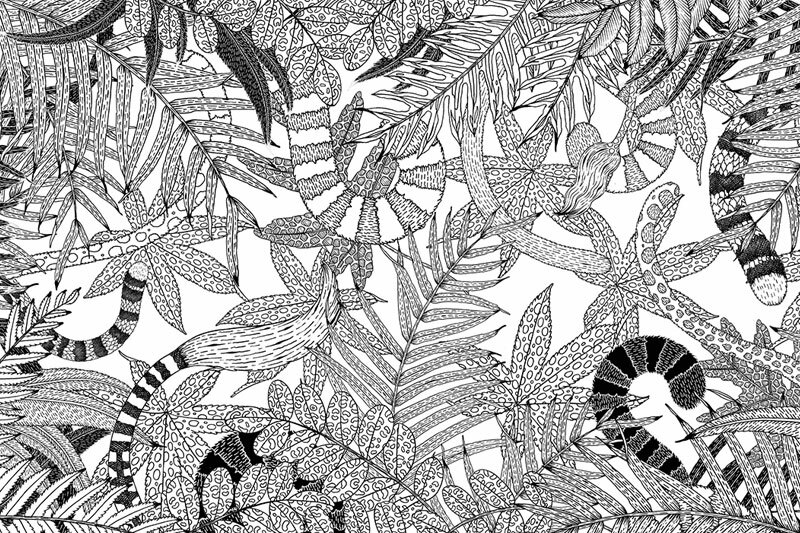 Her signature work shows lined patterns drawn delicately. Finishes hold a unique visual texture with her trademark technique of small links and mesh shapes. Her drawings are complex but the device she usually uses is simple. It’s just a propelling pencil and up to now, she gives no thought to trying new tools. A propelling pencil is easy to use, she says, with an ability to give sharp lines without sharpening. Toey adds that it is mostly suited to her illustration style. “Drawing wasn’t my skill in the first place. So when I started, I just wanted to use something simple. I finally realised its simplicity – it’s attractive,” she says.